Professional deep house cleaning and steam cleaning. 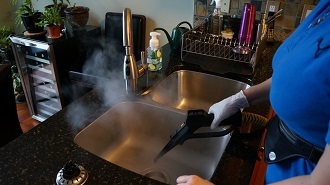 Save on clean co – cleaning company in Coquitlam using steam cleaning for moving in, moving out, one time or first time cleaning, post construction cleaning. 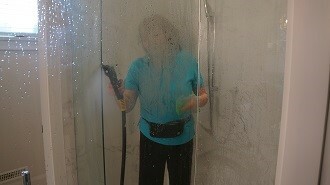 We make your home not only clean but completely sanitizing without using chemical. 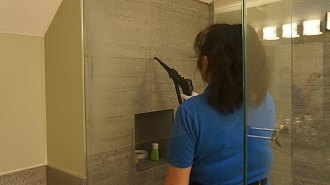 We use steam cleaning as a method for all kinds of deep house cleaning services. 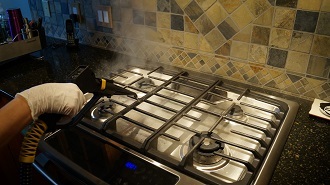 We deliver superior deep steam home cleaning service. Our deep home cleaning involves reaching, cleaning and sanitizing all areas including areas that are not reached during the regular house cleaning. Deep house cleaning requires a proper equipment and technique to be ensures that you reach all the corners and nooks that infested with bacteria and germs. Professional steam house cleaning equipment make it possible not only clean but also kill all microbes that is result in illness. 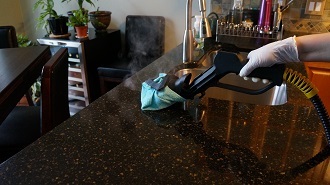 When your home is cleaned with a professional steam you’ve not requires any chemicals as 345 F temperature, steam kills 99% bacteria, fungal spores, dust mites.